This work describes the optimization of a photochemically induced method for the detection of eight phenylureas has been developed by response surface methodology (RSM). These pesticides do not show native fluorescence but they were photolyzed into strongly fluorescent photoproducts under UV irradiation. The effect of the main variables affecting the yield of the photoderivatization reaction, and hence the fluorescence intensity, such as solvent, UV irradiation time and pH were optimized for each pesticide. A Doehlert design was applied in order to obtain maximum intensity fluorescence using response surface methodology. In general, a maximum was found for all pesticides using MeOH as organic solvent, except for diuron, whereas the effect of pH and irradiation time was different, according to each pesticide. Finally, the addition of β-cyclodextrin upon the photochemically induced fluorescence intensity was investigate. 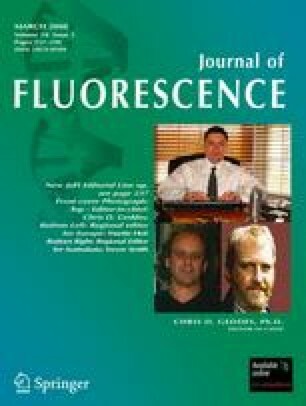 The fluorescence intensity was only improved for monolinuron at a concentration of 4 × 10−3 M of β-cyclodextrin.